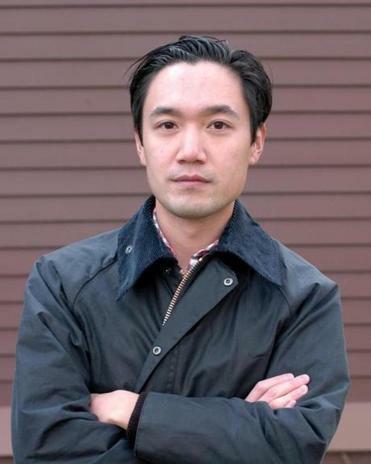 Early reviews of Paul Yoon’s second short-story collection, “The Mountain,” due out next week, suggest The National Book Foundation may have been onto something in 2010 when it named him one of the five writers under 35 to watch. Yoon, who grew up in New York City, now lives in Cambridge, where he teaches at Harvard University. He’ll read from his new collection at the Harvard Book Store 7 p.m. Aug. 17 and at Brookline Booksmith 7 p.m. Aug. 23 with his wife, novelist Laura van den Berg (“Find Me’’). YOON: I’m revisiting an old novel, William Maxwell’s “So Long, See You Tomorrow.” It’s set in small-town Illinois in the 1920s. It’s sort of a novelistic memoir in which the protagonist is recalling his childhood and a bizarre murder that happened then. It’s structured like a collage, where there’s a lot of air and white space. I’ve always been interested in books where the air between sentences is as important as what is being told on the page. BOOKS: Which other novelists write like that? YOON: [Michael] Ondaatje. John Berger, the British art critic and novelist, who wrote “To the Wedding,” probably my favorite novel of all time. It is narrated by a blind peddler in Greece who overhears a conversation between a father and his dying daughter. BOOKS: What have you read so far this summer? YOON: A novel that came out last year, “The Story of a Brief Marriage” by Anuk Arudpragasam. It’s set during the Sri Lankan civil war. It traces the life of a young man at a refugee camp who is asked by an elderly gentleman to marry his daughter. It focuses on smell, touch, and sight. It’s incredible. BOOKS: How did you come across that book? YOON: In the most banal way possible. I was browsing books at the Harvard Book Store. I gravitated toward the cover. BOOKS: Do you have any techniques for navigating bookstores? YOON: I go to fiction, start from Z, and go backwards. I trick myself into thinking I’ll be more surprised by what I find that way. BOOKS: Do you read mostly contemporary fiction? YOON: Yes, but I also have a soft spot for New York Review Books Classics, reprints of out-of-print books. The last ones I read were Henry Green’s “Back” and Tove Jansson’s “The Summer Book.’’ The latter is incredible. It’s set on an island and chronicles the season in the life of a child and her grandmother. “Back” is about a veteran who returns to England. I picked that up because the sentences were extremely spare and rhythmically odd. BOOKS: Do you read Korean authors? BOOKS: When did you become a serious reader? YOON: In high school, at first with the books we were assigned, mostly authors who had passed away, and then I discovered contemporary fiction. I had this wonderful teacher who gave me these books that weren’t on the syllabus: the poems of Elizabeth Bishop, Andre Dubus’s short stories, David Huddle’s “Only the Little Bone.’’ I had this amazing realization that this is an art form that was still practiced. For a 13-year-old, that was mind blowing. BOOKS: What else will you read this summer? YOON: “In the Distance” by Hernan Diaz. It’s out this fall. It’s his debut and is the story of a Swedish immigrant who travels to America in the 19th century to look for his brother. It’s an anti-western. It’s one of the best books I’ve read in a while. I also picked up “Three Horses’’ by the Italian novelist Erri De Luca. I’ll try to finish that as well. BOOKS: Do you look for books by foreign authors? YOON: I tend to gravitate to books set around the world and writers from around the world. But then again the book I’m reading now is set in Lincoln, Ill.